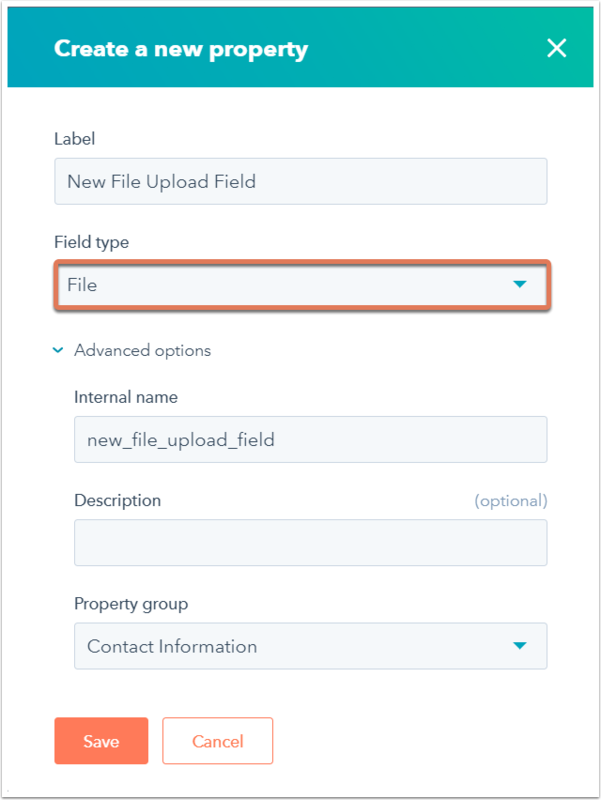 Allow your users to upload one or more files with their form submissions by including a file upload field on your form. Please note: the file size limits for file upload fields are 100MB for a single file and 500MB in total for multiple files. The file type limits for file upload fields are the same as the file manager. In the left pane, under Add form field, click Create new. In the dialog box, enter a property name in the Label field. Click the Field type dropdown menu and select File. Click Advanced options to customize additional details, then click Save. 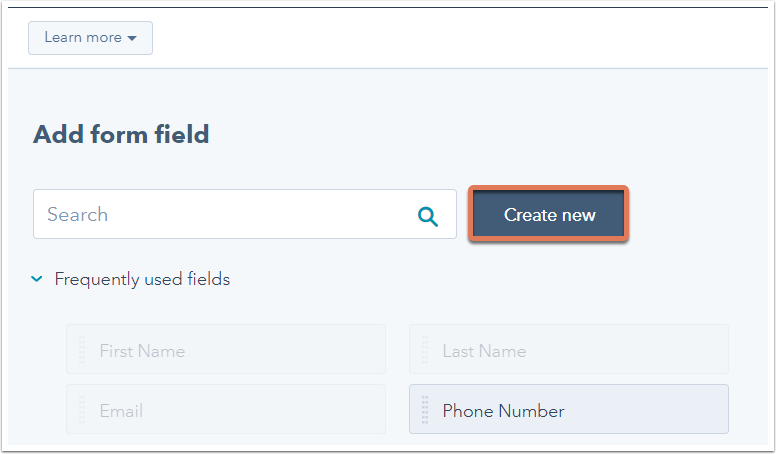 Drag the new field from the left sidebar menu into place on your form. If you want to allow contacts to upload multiple files, hover over the file upload field and click Edit. Select the Allow multiple files checkbox. When a visitor uploads a file and submits your form, the file is stored in a hidden folder in your file manager. A link to the file will appear in the contact's record in HubSpot. To view an uploaded file, navigate to the contact's record. In the About card, click View all properties. Search for your file property and click the external link icon externalLink to the right of the property value to view the file in a new tab. Any uploaded file links will also be included in the form submission's data and in the form submission events on individual contact's timeline.